The BioStimulants used are by far the best sourced material we have ever come across. 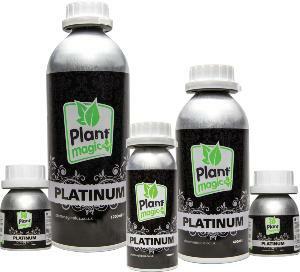 It increases Cation Exchange Capacity (when growing in compost / soil) and will also enhance root growth as well as breaking food down to a more readily available food source for the plant. They aid with speeding up the uptake of vital elements to ensure the plants needs are fulfilled and most importantly they are a food source for beneficial microbes, bacteria and fungi. Amino Acids are the building blocks for every single life form known to man. By adding this special blend of precisely the right strains ensures that the fruits develop a tight structure full of flavours, aromas and sugar production. The high levels of Sulphur will see that the uptake of Phosphorus is greatly increased. This special concentration level will also speed up Photosynthesis assisting in more sugar production and faster growth resulting in greater yields. This high concentration also assists in the building of proteins and Amino Acids.